Today I want to share a 3rd technique to create marbled paper and it uses supplies you most likely have on hand, shaving cream & reinkers! 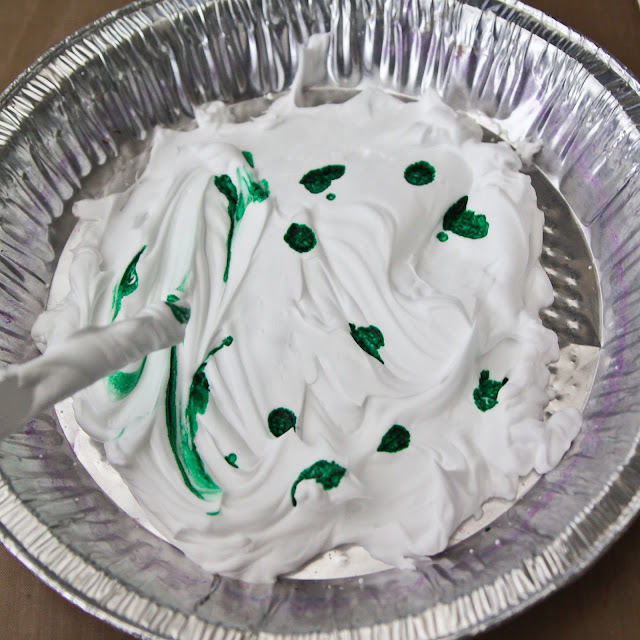 Start by putting a shallow layer of shaving cream in a dish you don't mind staining. I just use a disposable foil pan. 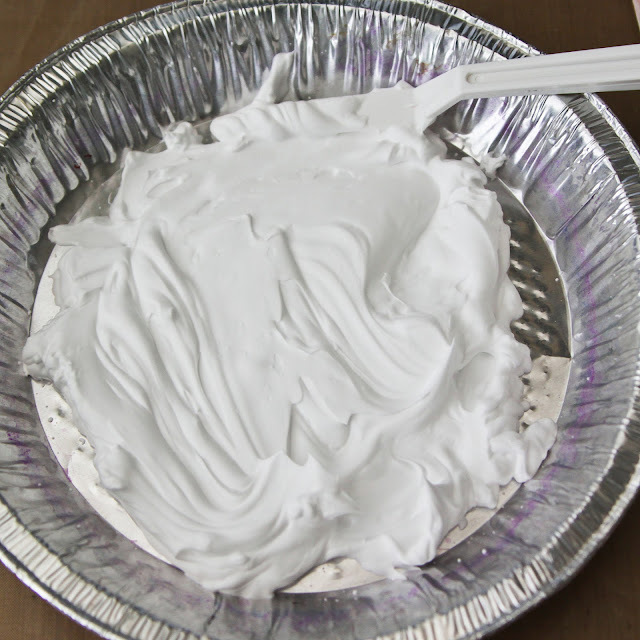 And I HIGHLY recommend using unscented shaving cream because even the best smelling cream can get a little overwhelming as you work. Ask me how I know, LOL! 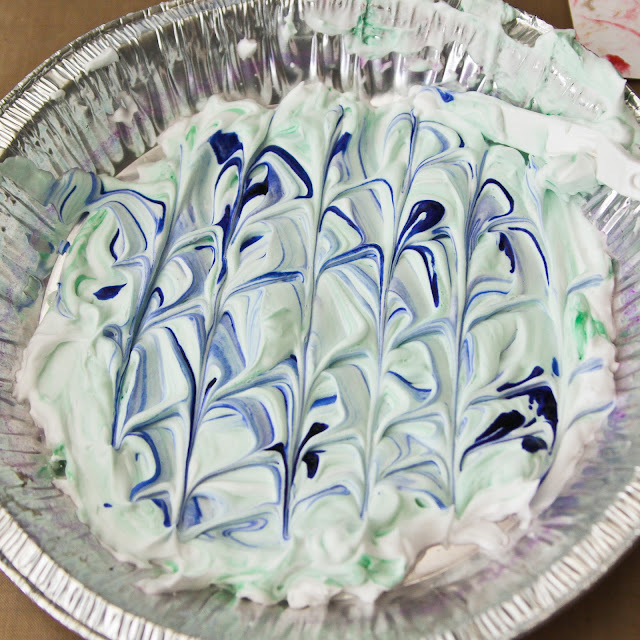 Add drops of ink on top of the cream. Use a spatula to create a design in the cream. 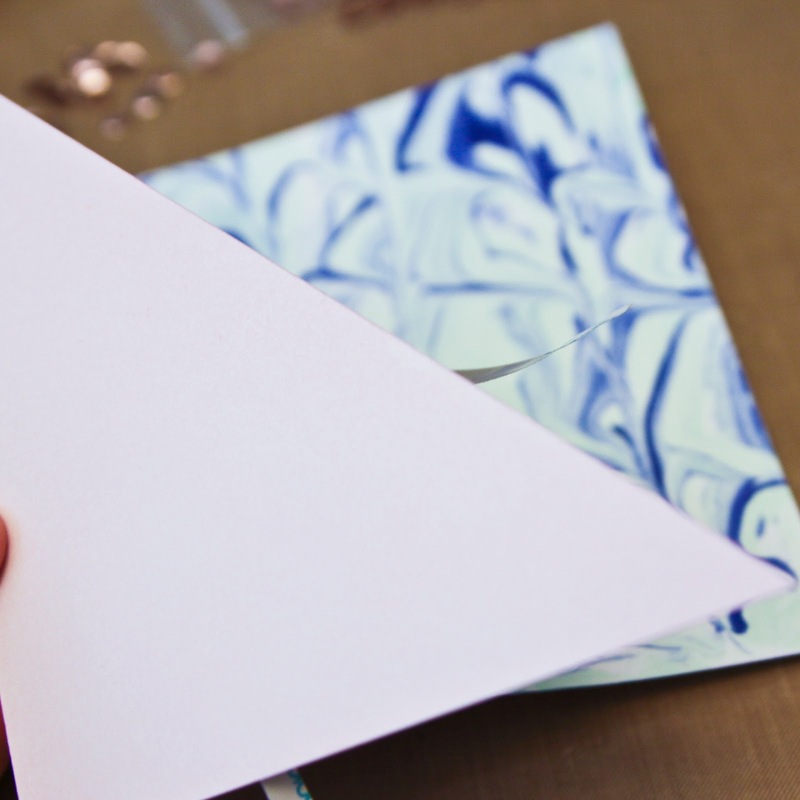 Place cardstock into cream and carefully press down over the whole surface to tranfer the ink from the cream to the cardstock. Use spatula to scrape away excess cream. Cool right? 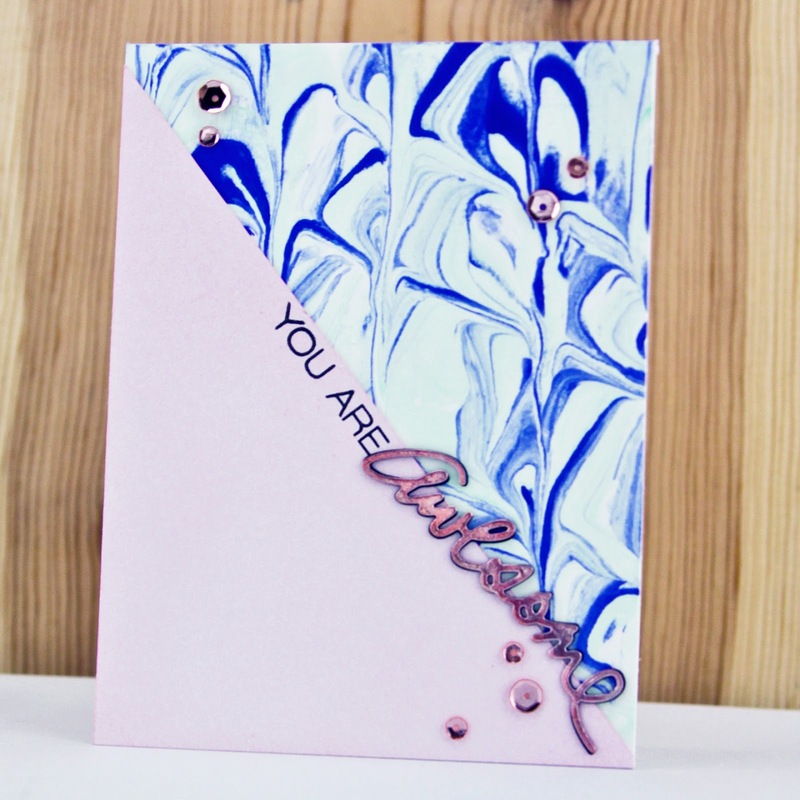 Set cardstock aside to dry. 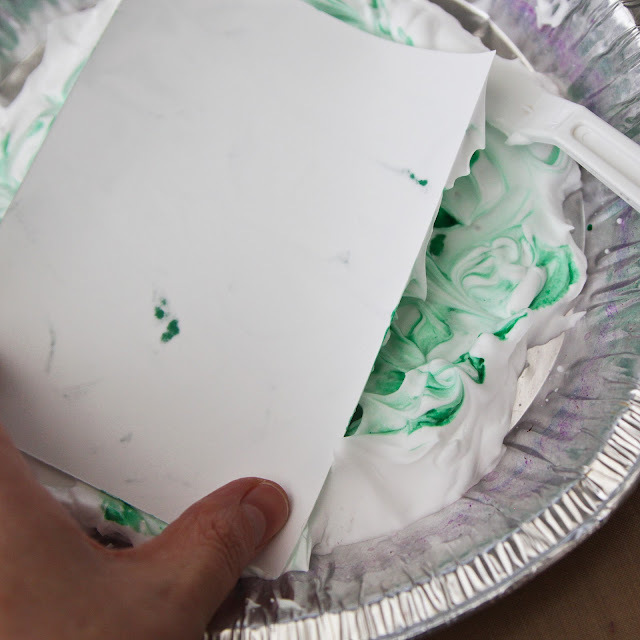 Add more ink to cream, swirl and marble more paper! 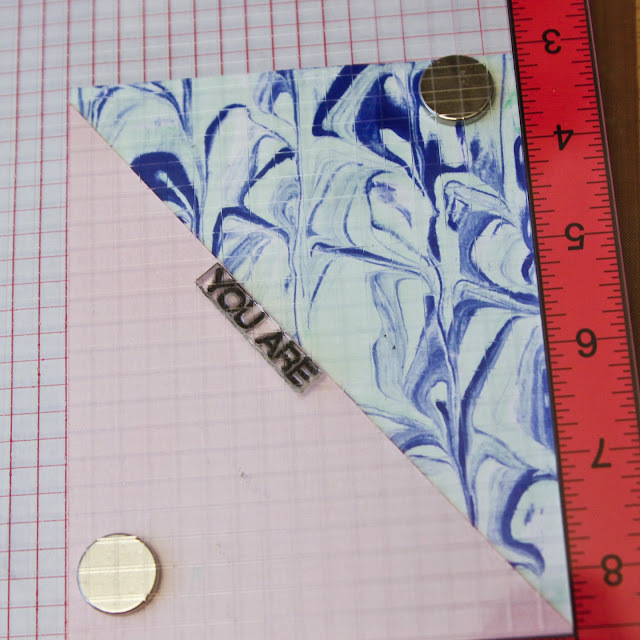 To finish card, cut a triangle of colored cardstock (or ink one like me because I love doing it the hard way). 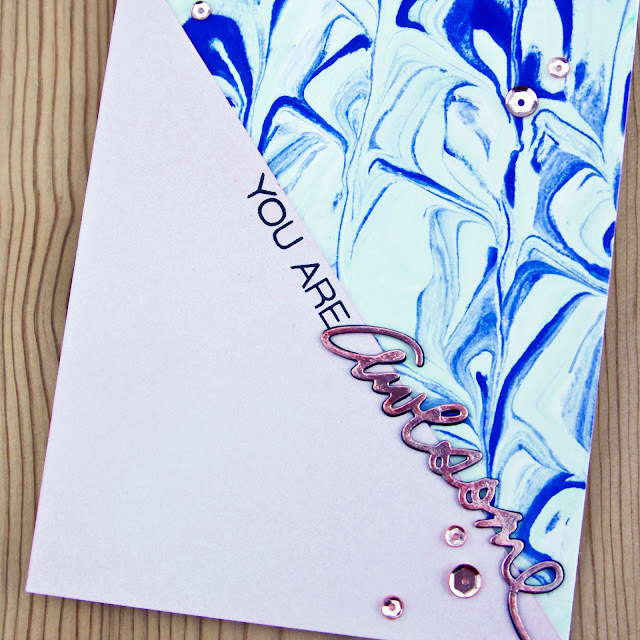 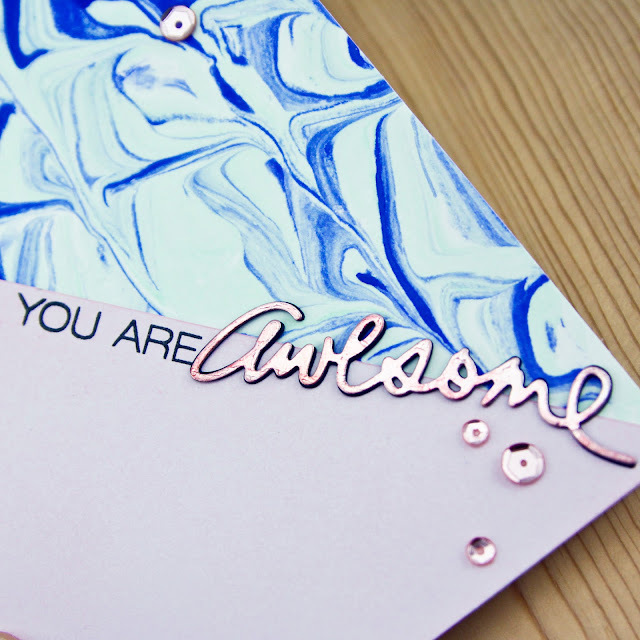 Create a sentiment by combining stamps and a die cut. 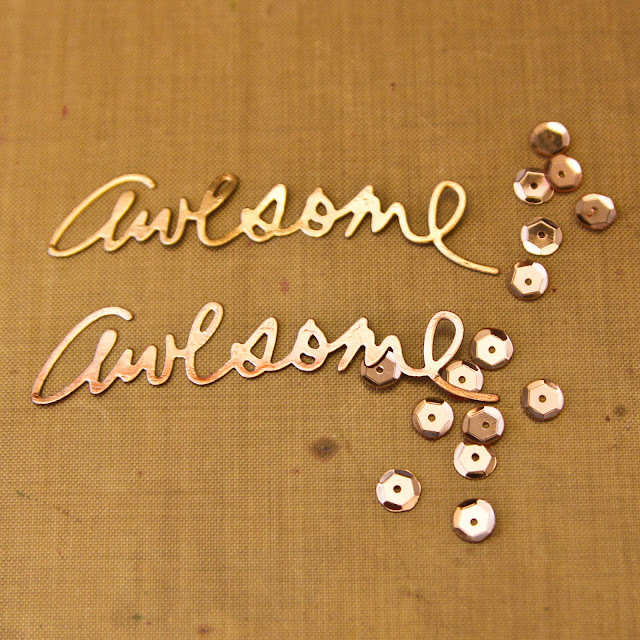 I cut word from gold foil but wanted to use Rose Gold sequins so I applied a little pink alcohol ink to the surface. 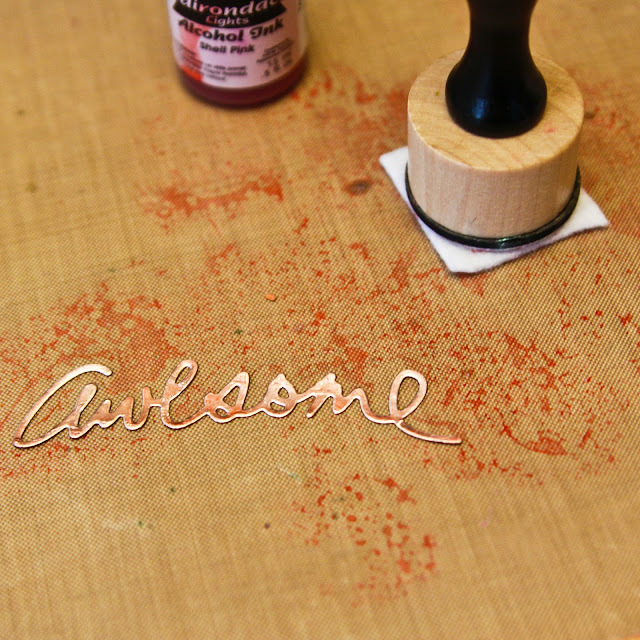 And ta-da! 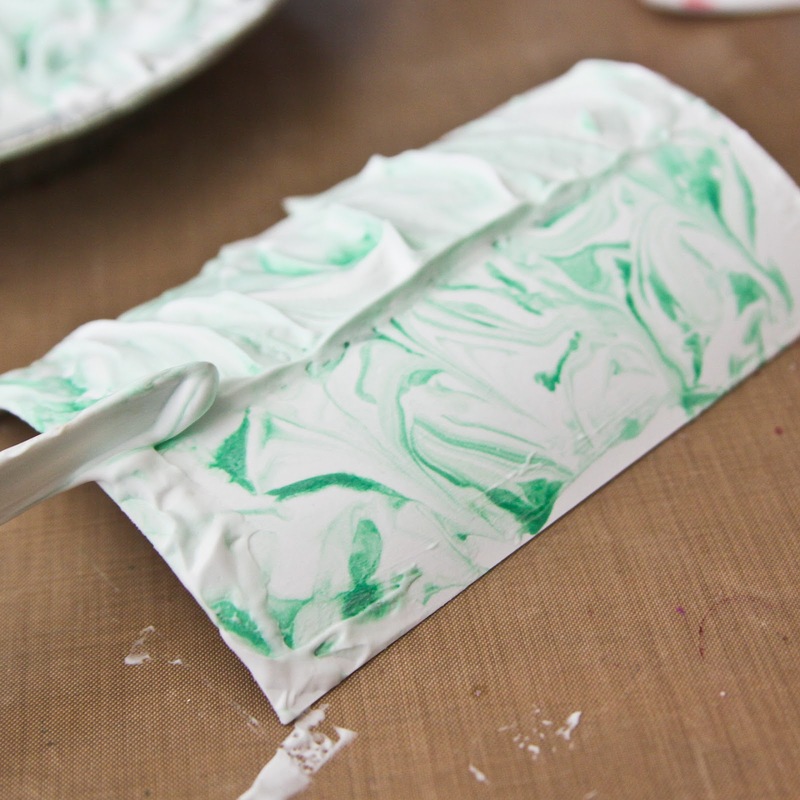 This technique works great with all kinds of reinkers and is especially fun with kids (just make sure to use washable ink).